The highly anticipated new stand alone novel from rising star Natalie Lloyd! Everyone in Emma's family is special. Her ancestors include Revolutionary War spies, brilliant scientists, and famous musicians--every single one of which learned of their extraordinary destiny through a dream. For Emma, her own dream can't come soon enough. Right before her mother died, Emma promised that she'd do whatever it took to fulfill her destiny, and she doesn't want to let her mother down. But when Emma's dream finally arrives, it points her toward an impossible task--finding a legendary treasure hidden in her town's cemetery. If Emma fails, she'll let down generations of extraordinary ancestors . . . including her own mother. But how can she find something that's been missing for centuries and might be protected by a mysterious singing ghost? 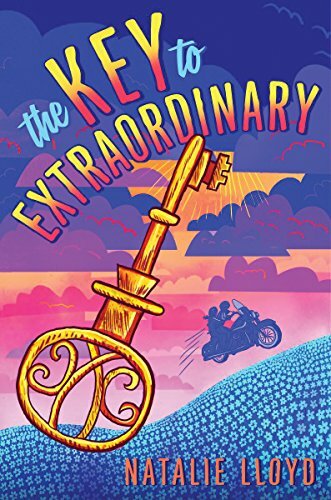 With her signature blend of lyrical writing, quirky humor, and unforgettable characters, Natalie Lloyd's The Key to Extraordinary cements her status as one of the most original voices writing for children today.